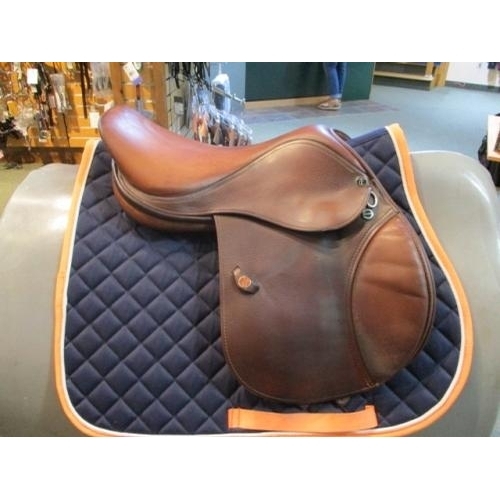 15.5 IN 2014 Tad Coffin Smart Ride in good condition. 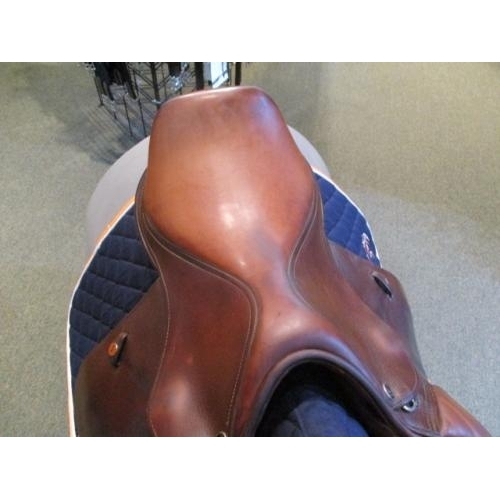 Styled with a flat seat and low pommel, the A5 is a true close contact saddle classically designed for the hunter and equitation rings. 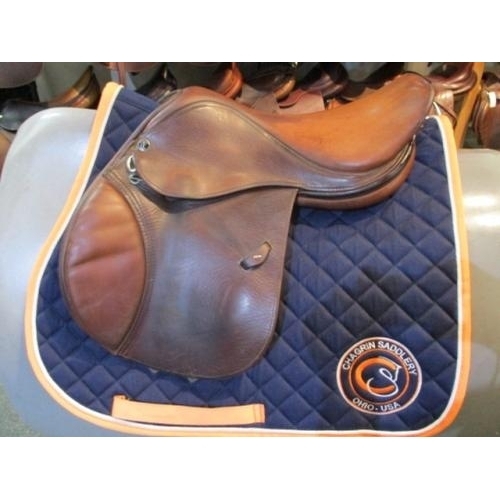 The flaps on this model are short in length with knee and thigh blocks for support. 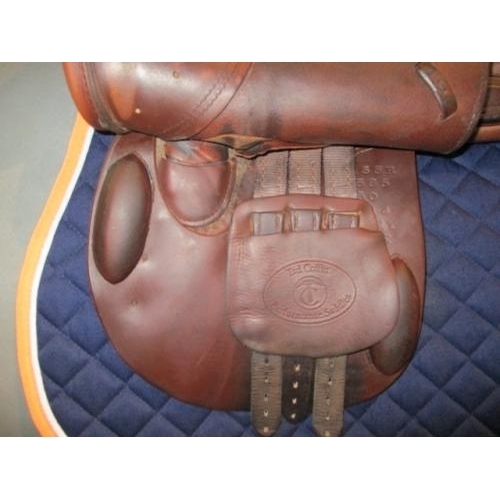 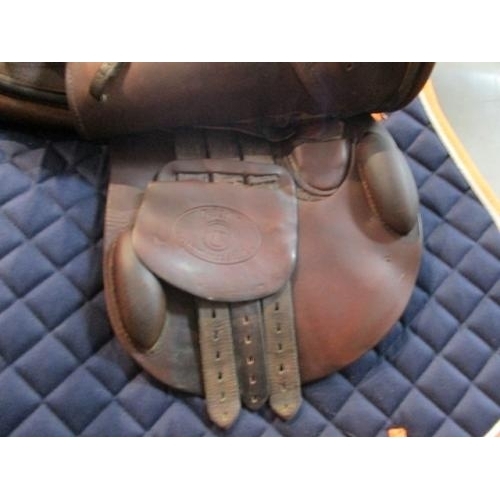 The tree measures wide but can be adjusted with the use of Tad Coffin leather saddle pads. 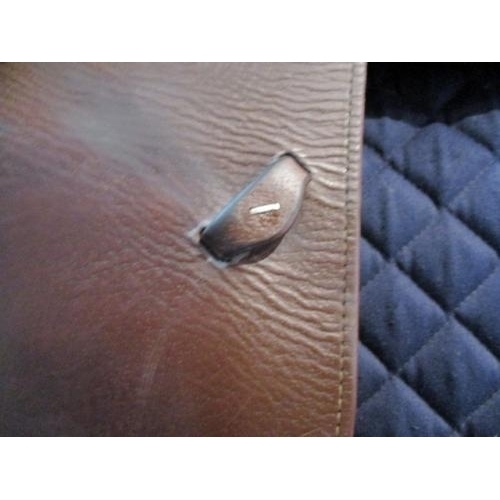 There is wear on the flap bottoms due to regular use and two tiny holes at the bottom of the right knee rolls (see photos).